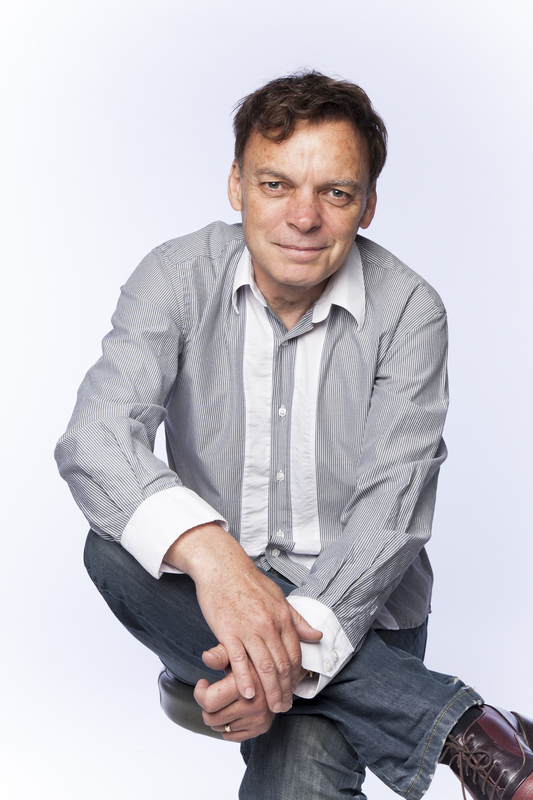 This reading group guide for The Rosie Project includes an introduction, discussion questions, ideas for enhancing your book club, and a Q&A with author Graeme Simsion. The suggested questions are intended to help your reading group find new and interesting angles and topics for your discussion. We hope that these ideas will enrich your conversation and increase your enjoyment of the book. Professor of genetics Don Tillman’s life is turned upside down when he embarks upon the Wife Project in order to find a suitable mate for his quirky habits and demanding personality. When a psychology PhD student named Rosie walks into his office, she’s all wrong—her hair is dyed, her clothes are sloppy, she smokes, and she is habitually late. But then again, something is right about her . . . Don just can’t recognize it at first. As the Wife Project takes a back burner to Rosie’s own project of searching for her biological father, Don finds himself breaking all kinds of rules and breaking out of his routine in ways that are both uncomfortable and exciting. When a research trip takes them from Australia to New York City, and Don’s career is threatened by his allegiance to Rosie, Don must face the toughest puzzle of all—himself. In the end, Don must confront his long-held notions of what it means to love and connect with people, and what it truly means to open up and trust someone. 1. Make your own questionnaire for a potential mate. List ten questions and rank them in order of importance. 3. Cook Don’s balcony meal: lobster, mango and avocado salad, wasabi-coated flying fish roe and crispy seaweed, and deep fried leek garnish. 4. Take a ballroom dancing class so you can be as good as Bianca. 1. Do you have experience with Autistic people? I did a physics degree, worked for thirty years in information technology and taught at several universities. In these areas, technical skills are given more weight than social skills. So I met many people who I’m sure would have been diagnosed as being on the high-functioning end of the autism spectrum–had that diagnosis been common when they were younger. And I know a number of people with kids who have been diagnosed with Asperger’s /Austism. 2. What or who was your inspiration for Don? People I worked with and taught. There are plenty of Dons out there. One close friend struggled for many years to find a partner, and he provided inspiration for my first version of the story but the character and story have changed a lot since then. There is no ‘real Don’! 3. Do you love the Museum of Natural History as much as Don does? Not that much! But it’s one of my favorite places in New York. 4. Do you have any idiosyncratic “deal breakers” like Don with ice cream preference? I don’t think so, but I’ve been married for 24 years, so I don’t have a lot of recent dating experience (!) I really don’t like smoking, but dated a smoker for some time when I was younger. Back in those days, if I was really attracted to someone, I’d make a lot of concessions. Perhaps less so now. 6. Don is a bit of a foodie. You founded Pinot Now and have eaten at El Bulli. Can you talk about the role of food and wine in your life? I’m also a bit of a foodie and a wine lover. I cook a lot, and put quite a bit of effort into meals. I actually do jog to the local market, though not on a regular a schedule as Don. Cooking is a good opportunity for thinking (as it is for Don), and I enjoy the results. My wife and I drink a lot of wine – probably too much – and treat our travel as an opportunity to try restaurants and local produce. It’s a balance to the more intellectual business of writing. 7. How did you develop and dive into Don’s voice? I channeled a close friend who has a background in information technology–a very technical background. In the early drafts I could hear his voice, but over time Don developed his own mannerisms. I borrowed habits like “greetings” and expressions like “human sponge mode” from other colleagues and friends. 8. Do you feel that this is a story of triumph for Don? Absolutely. Don is the hero of the story in all senses. He sets out to do something that is a huge stretch and overcomes obstacles and his own limitations to achieve it – along the way learning some lessons about what he really needs. And he does this in a fundamentally decent way. 9. You have a background in data modeling. What is that exactly, and did your experience with it contribute to your portrait of Don and his Wife Project? It’s basically the job of specifying a database–describing in precise technical language what data is to be held and how it is to be represented. A bit like an architect describing to a builder exactly what needs to be built, after helping the client express their requirements and proposing a design. The discipline itself doesn’t feature in the book, but some of the people I met in the field–precise, highly organized people–contributed to my characterization of Don. 10. You also write, produce, and act in films. How is the process of writing for film different from writing a novel? Well, the acting was only one time! But I’ve produced numerous short films, and in fact wrote The Rosie Project as a screenplay before “sideways adapting” it into a novel. In screenwriting, at least for mainstream films, there is a strong emphasis on story–and story structure. It’s more formulaic than a novel, but it’s also a good discipline. In a romantic comedy you only have about 100 minutes, so you have to make every scene count. You see it in Rosie: it’s structured as a romantic comedy, and reads as a series of scenes. And it moves along pretty quickly. 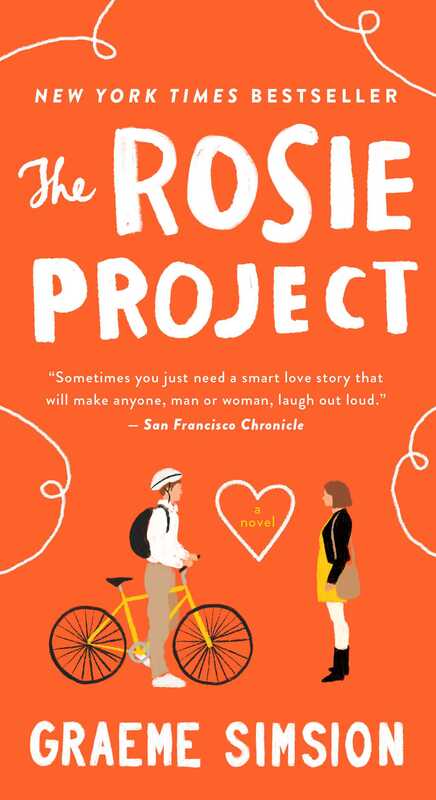 In a novel, you have the opportunity to describe the character’s thought processes – and in The Rosie Project that’s an important tool for comedy. On the screen you can use physical action and timing – which are not directly available to you on the page. 11. You own a Porsche, have solo-flown a Cessna, and walked the Camino de Santiago. Is adventure something you seek out in life? I’m not a physical thrill-seeker, but I enjoy challenges and achievement, and am very conscious that we only get one life. My wife drives the Porsche–most of the time I take the tram.